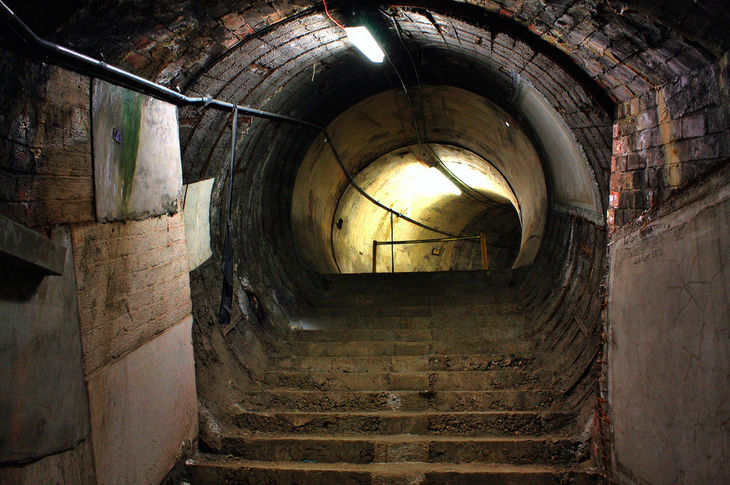 Explore the abandoned tube tunnels that lie abandoned beneath the city. 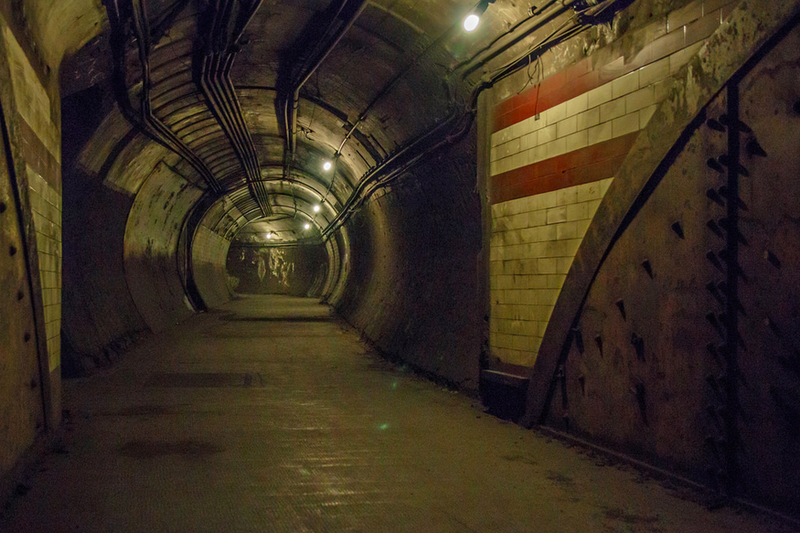 If you're anywhere near as obsessed with subterranean London as we are, you'll be bursting with excitement at the prospect of exploring London's abandoned tube tunnels. These disused stations and platforms spend most of the year in peaceful quiet, but on certain days, tour groups are allowed in to get a look. Tickets are about to go on sale for the latest batch of Hidden London tours — London Transport Museum's project that invites you to delve into secret sites across London. Of greatest note this year is Euston; it's potentially the last time Hidden London will be able to run the tour. That's thanks to HS2 work in the area. Two of the tours come with film screenings, highlighting the fact that these empty stations often double up as film sets. See Skyfall on the abandoned Jubilee line platforms at Charing Cross Station — AKA the bit where Daniel Craig does that ridiculous run and jump from the platform onto a departing train. And see Darkest Hour at Aldwych, in which Gary Oldman sports heavy prosthetics and chats to commuters (that definitely didn't happen in real life) on the tube. Tickets range in cost depending on the tour — the cheapest are £30 and the priciest £85. Tours take place between April and August. Tickets go on sale at 10am on Friday 8 March, although you can get early access to booking by signing up to the London Transport Museum's newsletter. Find all the details over on Hidden London's website.